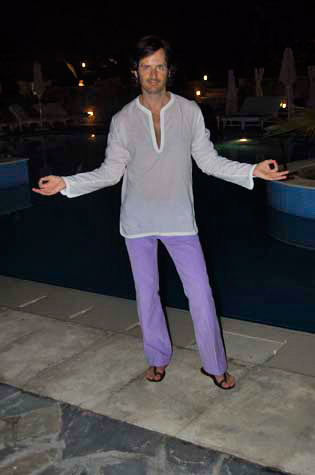 Greece – WHAT IS JAMES WEARING? Blissing out late evening poolside at the Hotel Theoxenia. Mykonos really gets going after midnight and there are quite a few fantastic restaurants on the island. The staff at the Theoxenia was brilliant, making sure that I dined at the very best of them.